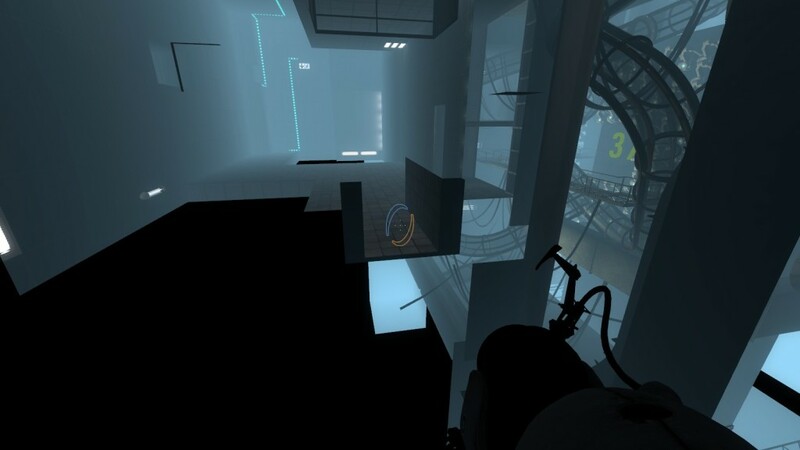 Where is the “impossible space” in Portal 2? 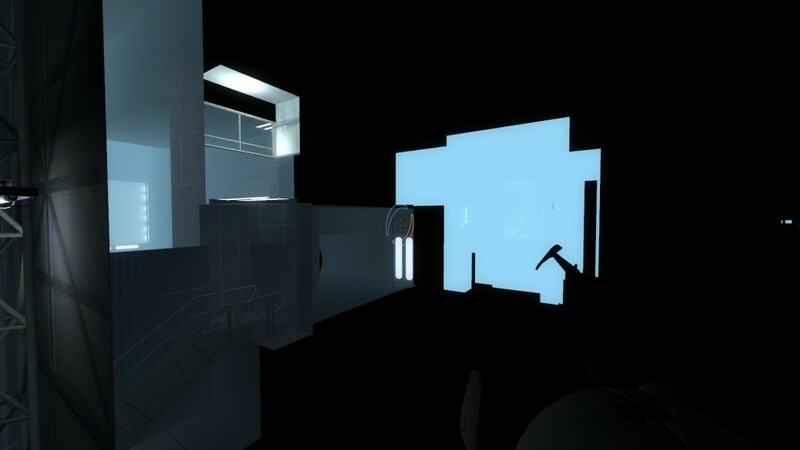 One of the commentary nodes by a Portal 2 developer, Eric Tams, said they used "world portals" to quickly reconfigure maps and puzzles during testing, which allowed them to create rooms that were bigger on the inside, infinite falls, and other sorts of impossible geometry, save for the users own ASHPD space bending. When we started the project, making any big structural change in a level or the order of levels would lead to hours or even days of busy work trying to reconnect things and make sure they lined up again. 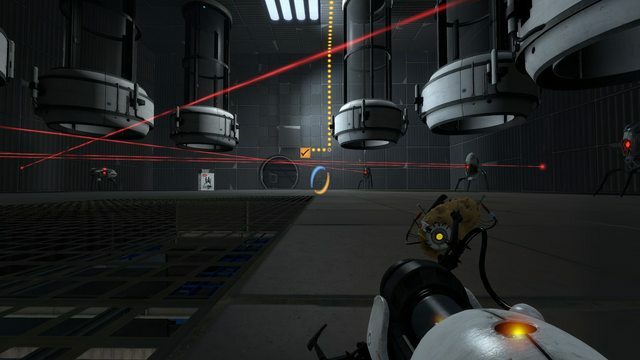 If we ever wanted to ship something the size of Portal with the finely tuned balance we desired then we needed a way to be able to make big changes to the layout of the game without paying the cost of making everything line up again. We needed a way to bend space. Soon every connection between any space was a portal. We would even switch them on the fly. Even a simple door worked like the cartoons - just a facade painted on a wall that seamlessly opened somewhere else entirely. Once the game settled down we were able to finalize our path and remove all of the world portals. There's only one impossible space left in the whole game. See if you can figure out where it is. After the map layout was finalized, most of these were fixed into boring linear spaces, likely for the sake of performance, save for one spot. Where is it? This entity is designed to link two separate, distant areas together without any clear transition between the two. This entity is exclusive to Portal 2. It is used in Chapter 9, in the Chamber 75 Death Trap with all the crap turrets. The room is actually completely separate from its supposed surroundings. It is the only use of this entity in the final version of the game, though commentary states that it was used a lot during the development of the title to link chambers together. I guess that the development team first made the rooms separate so that they could wipe a bad room, then connect them later when the levels were more perfect, and I suppose that this room didn't fit. You might want to skip the commentary and long walk and go to 04:30. From here on he shows the box from outside at the three locations (before box, in box, after box); he first does this slowly, then at a later point he goes between all of them in quicker succession. This might show the trick better than above pictures. Thanks to Jon Ericson in the comments for finding this video. That does make sense in The Part Where He Kills You, but they had to put that in because the room was moving. There was one in chapter 4 when you escape from Glados light bridge experiment. I wanna say it's test chamber 22. Anyway, once the lights turn off, you are in a different and similar room. It doesn't make too much sense to duplicate the room cause they didn't have to. You'll notice that the rest of the level is missing from this room. It should extend from the near right side. 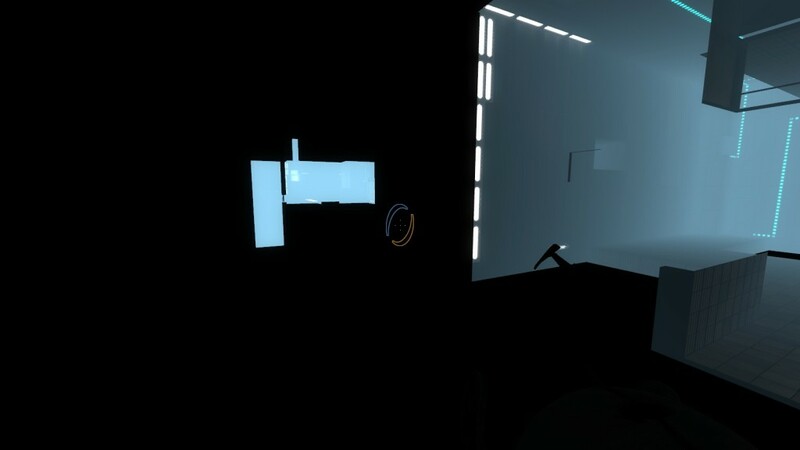 Then there is a completely different one that is missing an entrance that connects to the escape from Glados. And here is a shot that shows both the rooms in the same load from the escape side. What is interesting about this isn't that they did it, it's why they did it. As far as I can tell, there was no reason to other than because they could or because this is what they left in for us to find. However, I totally agree with the death trap theory. I checked that out and they stuck that turret room somewhere else. They couldn't use the room that moved because of all the destructive animation they had just done on the left side of the room. If you watch that room crash into the wall, you'll see a lot of stuff deforming inwards which would have poked through to the turret room. I have to say though, after searching around the game for this, the level designers did an awesome job of placing everything together in a linear fashion. There as some levels I was sure wouldn't work out, but they crammed it all together quite nicely when you look at it. doesn't seem to have been conserved. Possibly the long fall after Wheatley knocks GLaDOS and Chell through the floor is an example of the infinite fall they mention? 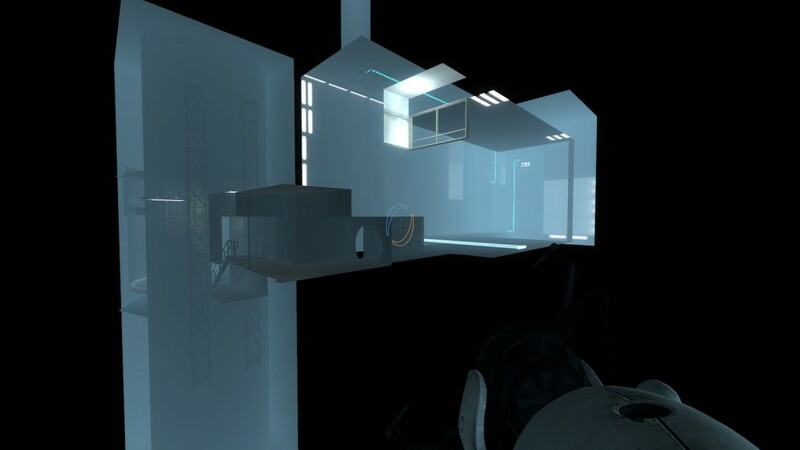 I have been looking around the other forums and one guy said he no-clipped (flew through the walls) to look for it and he thinks it is the incineration tube that Glados drops you down right after you wake her up, and I agree. I just played that part again and just after you find her still dead you walk behind her, jump down those broken stairs, walk over some cat walks and are now under Glados. If you look around you can't see the shaft that leads to the incinerator in witch you will soon be falling. I think they may have made that into an infinite fall. It could be that they used square portals to go from place to place? In youtube videos there are square portals(I have xbox version so I dont know the codes) and they could have put only the door frame. And I am refering to the first Wheatly test and the room with the exit door that was too big by the way. When you fire the portal gun, the first portal will change its color according to which portal you launch. For example, if the first was orange and you launch a orange the first one turns blue. The distance between the two places changes; when you're on the far side, you're closer. The impossible space is one of the test spheres. Before you enter it you can clearly see how big the exterior of it is, yet once you are inside of it you can now clearly see that the interior of the sphere cannot fit within the boundary of the exterior. 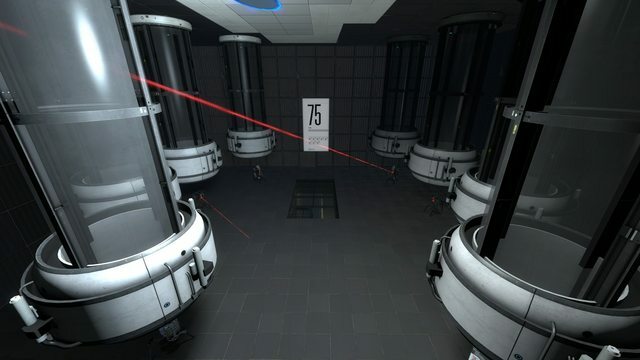 I think that it's the one room where Wheatley makes his first test. When you complete it, and go through the door, then he wants you to solve the same test again, then 2 panels open and you walk through, and you are at the beginning again, but the distance between these spots is actually huge and you can see it doesn't make sense at all. Not the answer you're looking for? Browse other questions tagged portal-2 or ask your own question. 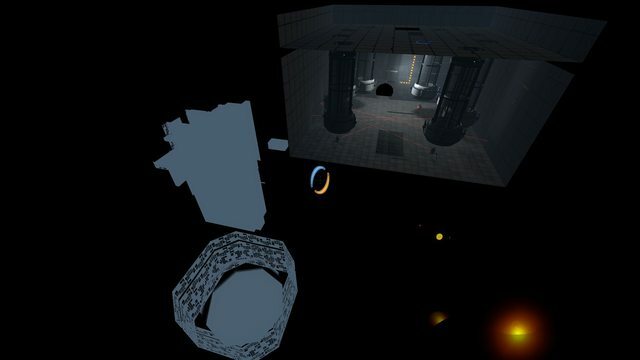 What maps correspond to what test chambers in Portal 2? 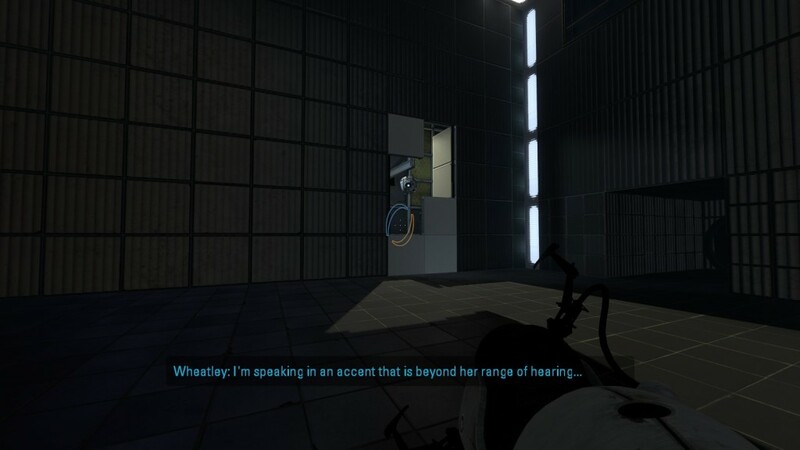 Where do I find the turrets practicing singing in Portal 2? 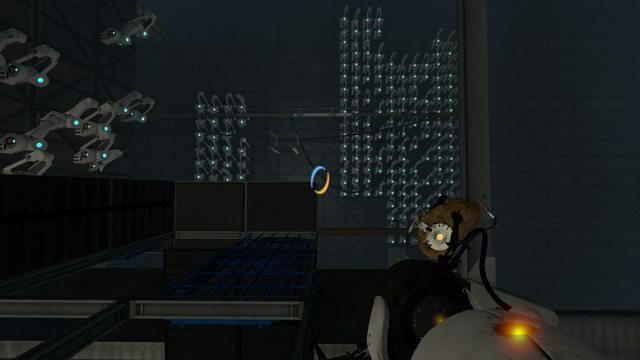 Where can you place a portal on a moving surface in Portal 2? 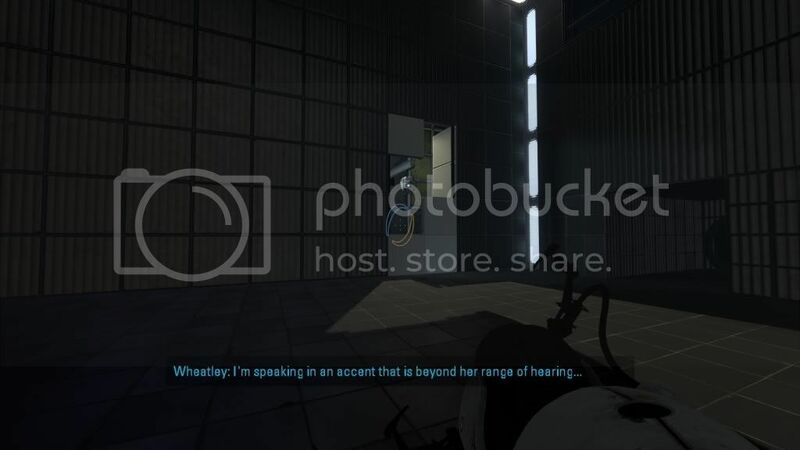 Where can I find a transcript of Portal 2 dialogue? What does blue portal and orange portal signify?